Coinciding with the FIFA World Cup 2014, Coca-Cola — one of the official sponsors, alongside the likes of Budweiser, Castrol, Johnson Johnson, and Continental — has designed unique cans for the football season. Celebrating the game and its force in connecting people worldwide, Coca-Cola has collaborated with Sao Paulo street artist Speto and UK design studio BGO in creating three limited edition designs. Melding colors and motifs of Brazilian street art with cheerful illustrations, the cans feature playful, colorful street art-style graphics celebrating sun, sport, and the vibrant Brazilian culture. 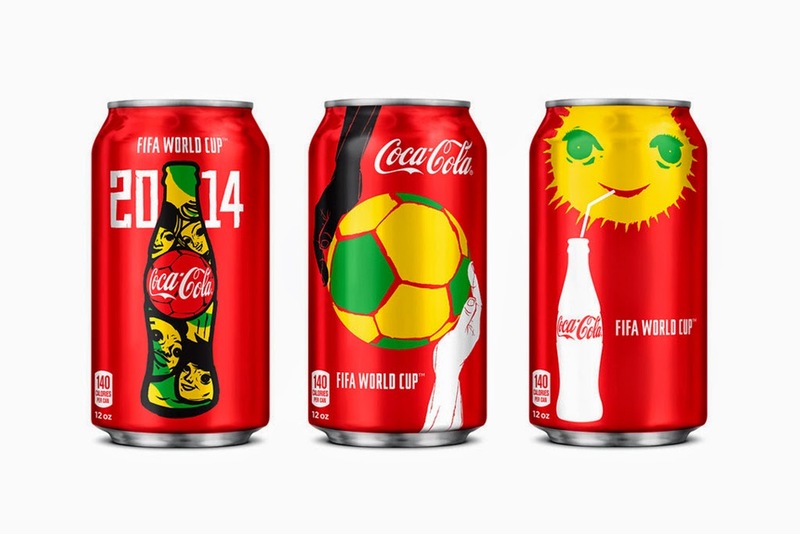 Check out the 2014 FIFA World Cup cans here and look for them this summer.